A man has been arrested after police discovered around 100 plants being grown at a ‘cannabis factory’ inside an empty Leamington house. Officers went into the house in Hanworth Close, Lillington at 8.15am on Wednesday morning where they found the plants growing in what is understood to be an unoccupied house. A 23-year-old man from Warwick was arrested later that day on suspicion of concerned supply of production of a controlled class B drug. He was released on bail until January 26. 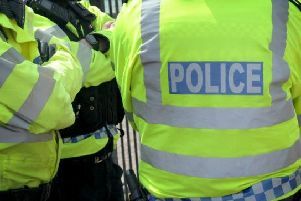 A Warwickshire Police spokesperson said: “Officers executed a warrant at a property in Hanworth Close on December 23 where approximately 100 plants believed to be cannabis plants were discovered. “A large number of mature cannabis plants and the associated growing equipment were confiscated and disposed of.